Mankind has long known of the amazing properties of reverberant spaces. From the brilliant refections of the largest concert halls to the splashy depths of your own shower, every space has its own characteristic sound. The Space Race is our humble homage to the sounds of “elsewhere,” and features six ingenious ways to add some space to your place, whether you're reaching for the stars or just trying to make your world a little bigger. Reverb is a pretty subjective thing - sometimes you need a soft and subtle bloom behind your notes, and sometimes you really need to wail at the bottom of a stone well. The Space Race gives you a ton of options, all of which you can tweak and customize to suit your desires using our simple knob interface. The Space Race features six distinct reverb engines, each with its own set of features and controls. Tap the center button to advance to the next reverb engine. MOD: Modulated chamber reverb. The Tweak knob controls the speed and depth of the pitch modulation. SHIM: Reverb with a pitch-shift component. The Tweak knob controls the pitch shift interval, either an octave down or an octave up. LOFI: Dirty and filtered reverberation, like the echo you might get out of a broken karaoke machine. Reverb and Space control the decay and pre-delay, respectively, while Tweak controls the amount of dirt and grit present in the reverb signal. PLATE: Bright and present reverb based on both a mechanical plate design and the early electronic plate reverb algorithms. Tweak adjusts the high-frequency damping of the reverb signal. SPRING: You know what this one is. Drippy and wet, this spring reverb simulation is great for both subtle and not-so-subtle effects. Reverb adjusts the size of the reverb tank, Space controls the “dwell” or input signal level, and Tweak controls the tone of the reverb signal. ANALOG: Electronic reverb based on an obscure bucket-brigade echo circuit. This mode lacks all of the smoothing and diffusion of more modern reverb types, so you can hear each individual echo in the reverb tail. Reverb controls the delay time, Space controls the repeats of the echo, and Tweak adds an adjustable modulation effect. 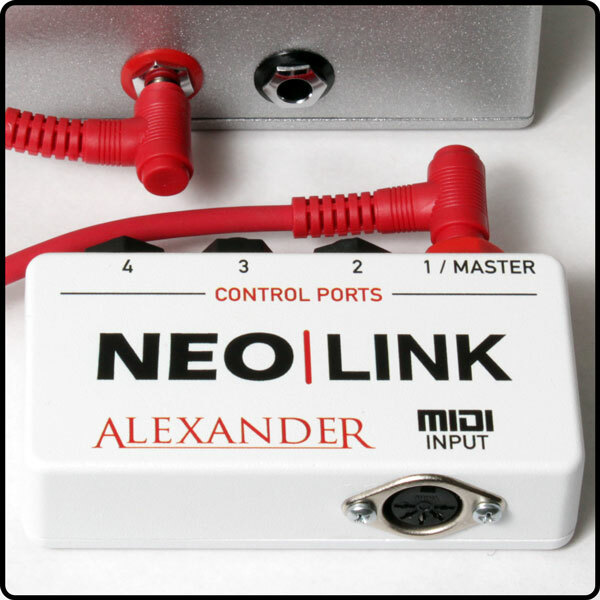 Seamlessly morph between different knob settings on the fly using the built-in ramp footswitch, expression pedal, Neo Footswitch, or MIDI controller.